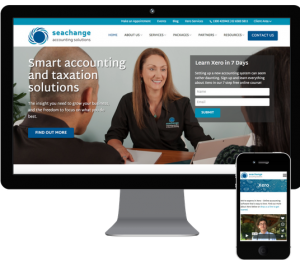 Xero revolutionised accounting software. Bizink is doing the same for accounting websites and marketing. Join 200+ leading Xero Partners from across the globe and let Bizink build you a lead generating website. We’ve got everything you need to promote your Xero partnership online including Xero Partner badges, official Xero training videos, Xero landing page, Xero lead magnet, Xero focused SEO and a client area with Xero login. We’ll also help you work smarter with integrations to eco-system apps like Practice Ignition. 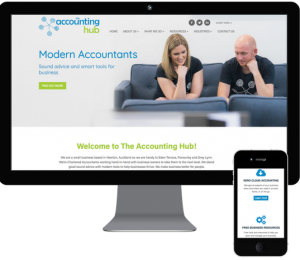 No matter what your Xero Partnership level, we can create a website that will help you attract, engage and convert business owners. Xero will cover half the costs of certain marketing activities, including Bizink websites, when you promote your firm and Xero through co-branded efforts. Find out more about the Partner Marketing Fund on the Xero website. Train your clients with 100+ official videos from Xero TV which are kept updated by Bizink. An optimized landing page to explain Xero to clients and prospects. 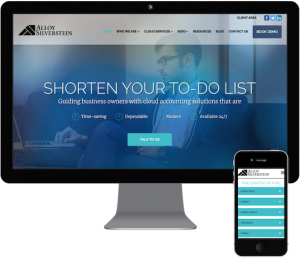 The ideal place to link to from your Xero Advisor Directory listing. Turn website visitors into leads by offering them valuable content in exchange for their email address. Every Bizink site has an area from where your clients can login to Xero and other apps. We can optimize your website for Xero related keywords so your site performs well in search engines like Google. We have pre-written content from popular eco-system partners like Receipt Bank, Spotlight and Hubdoc. A Xero tips newsletter sent to your clients and prospects every month – without you lifting a finger. We’ve doubled our turnover since switching to Bizink 4 years ago. Our website has been an important part of that growth. I would absolutely recommend Bizink to other accounting firms, because of their understanding of the marketplace and how we work. Working with Bizink has been great right from the start. The team were fabulous and spent so much time working through everything with us. As much as I want to keep their marketing expertise to myself, I would definitely recommend Bizink to other firms. Our goal was to brand and establish ourselves as expert Xero advisors in the US and our Philly region, and the Xero landing page and Xero Resources from Bizink were crucial in doing so. It helps us appeal to the modern business owners and the younger generations beyond our geographical borders. Get a guided tour of Bizink’s websites and online marketing for Xero Partners.